"It is a deeply felt, passionate work that feels both hard-won and joyous. Kaya is a study in contrasts, an examination of the diverse life experiences that comprise modern Australia." "No wonder then that the audience gave Kaya one of the loudest and warmest ovations I’ve heard in years. Contemporary dance has long been saddled with an unfair perception of excessive seriousness or pretension — Kaya is the perfect antidote for this." 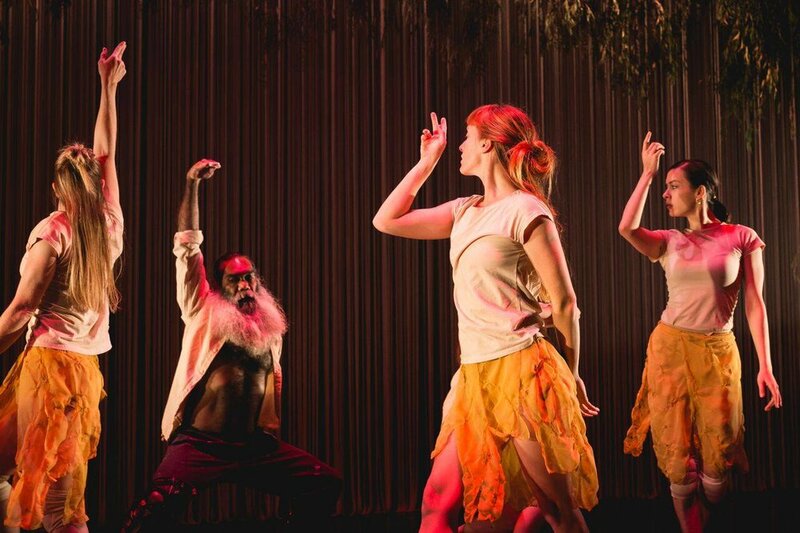 Cultures fuse and create a hybrid of Indigenous, Indian and contemporary dance in the enthralling new work by OCHRE Contemporary Dance Company called KAYA [Hello]. "A narrative isn’t the only important aspect here – what also counts is your sensory experience, and the impressions the production makes on your heart and mind. The ensemble is unbeatable, with dancers from a wide range of performance backgrounds." "OCHRE Contemporary Dance has begun an exciting new chapter under Mark Howett’s direction, and if KAYA is an indication of what’s to come, we can look forward to challenging, thought-provoking, inspiring works drawn from WA stories and culture."